For a long time India faced nuclear apartheid and 'n' number of sanctions for nuclear tests conducted in 1974 and 1998. India was not the first one to test the nuclear weapon but most probably the first one to face sanctions. But it didn't provide any significant challenge, sanctions marginally affected to India's development. And after many years majority of the sanctions are lifted. India even signed the Indo - US nuclear deal and opened the civilian reactors for safe guarding under the agreement with IAEA. The nuclear market of India is too large to ignore, and many deals are signed or in pipeline for nuclear technology transfer or fuel supply along with building a number of reactors. India committed 1,80,000 crore for 30,000MW for three countries France, Russia and US. It is expected that India will get the access to the enrichment and reprocessing technologies and will be able to remove the fear of energy security at least partly. 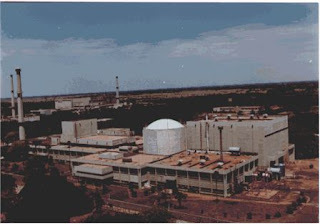 Atomsai of Russia - a state run nuclear company is going to build 4 reactors of 1,200MW each in Kodankulam(Tamilnadu).Atomsari is already building 2 reactors there. Areva - a French company- is going to build two 1650MW reactors in Jaitapur, Maharashtra. four more reactors are expected from the same company in future.Apart from this Areva also promised life time fuel supply to these reactors. 10,000MW power project is going to US companies through new reactors in India. Apart from this framework agreement with UK and Canada are also in pipeline (In the past before 1974 nuclear test Canada participated in building reactors in India). In February India promise to buy 2,000 tonnes of fuel worth $700mn from Russia and in last december India committed to buy another 300 tonnes from France. A pact is already signed with Kazakhstan for the supply of fuel and technologies. It is expected that all these reactors will become operational in next 25 years.This will be a boon for India's starving energy sector which is not able to compete with demand. But here what India have to taken care is that we should not allow any monopoly in this sector. The market should be evenly distributed and more share should be given to the trusted companies which stood with us and supplied fuel even in the times of sanctions. And care should also be taken that whatever happened in the future the supply should not stop and should not allow anyone to impose additional rules and regulations upon us. Along with this India should also explore and mine Uranium and other fuels required for the operations of reactors through bilateral agreement with major Uranium producing countries. It will be difficult for India to go further than buying technology and fuel from Canada, Australia- which produce almost 51% of total production. So care should be taken to sign long term bilateral agreements with countries like Kazakhstan, Russia, Namibia, Niger etc which are other major producers. Indian companies like NPCIL shouldn't be just an end user in these agreements but should form the core. Apart from this India should also move forward with the indigenous development of nuclear technology like using Thorium as fuel etc. As other countries like China moving fast in producing nuclear submarines India have to focus on that sector too. Always buying will not be suitable formula for sustained development.